Put the bling back into dining alfresco, get the experts in to clean your barbeque. Fast, effective and best of all, you can light your barbie as soon as we are done! BBQ cleaning by our professional team is quick, hassle-free, and available 6 days a week. We aim for 100% satisfaction by using biodegradable, non-caustic and odour-free cleaning products that allow you to use your outdoor grill straight away. Plus you get to inspect the job we’ve done to make sure we meet your expectations as well as our own high standards! We then polish the metal until it is gleaming – ready for the summer sun! Our cleaning process is guaranteed, insured and Trading Standards approved, the team is DBS checked. To find out more about how we keep BBQs across Essex, Suffolk and Hertfordshire looking their very best, give us a call or join us on Facebook. 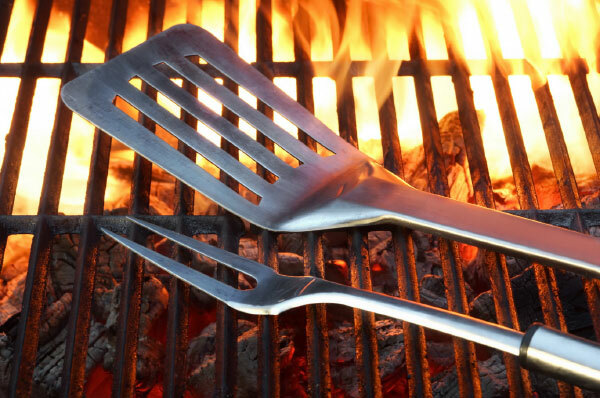 Does your BBQ need to sparkle again?